Yes, I’m sure you have heard “best ever” before. No brag. I can say it because the recipe isn’t mine. 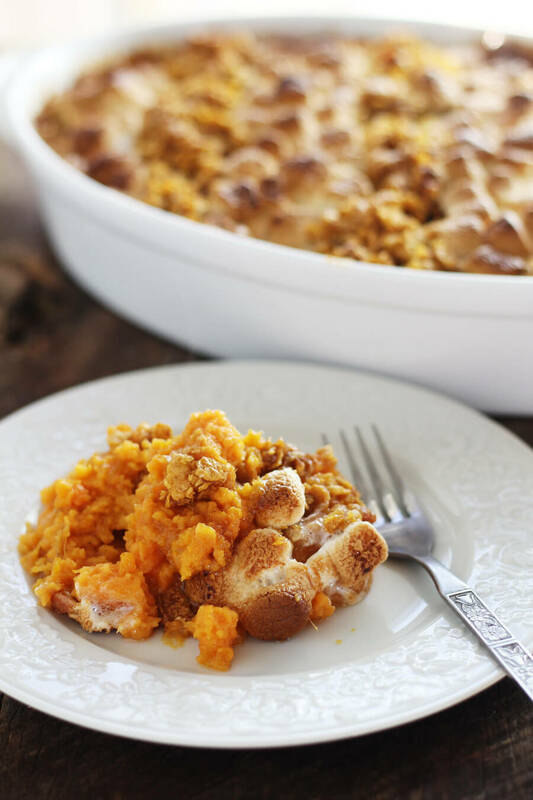 This best sweet potato casserole gets rave reviews each and every Thanksgiving holiday. This recipe belongs to my mom. Well, my step-mom, who is also my mom. I have a lot of mom’s. I’m a hot mess, so I need all the help I can get. 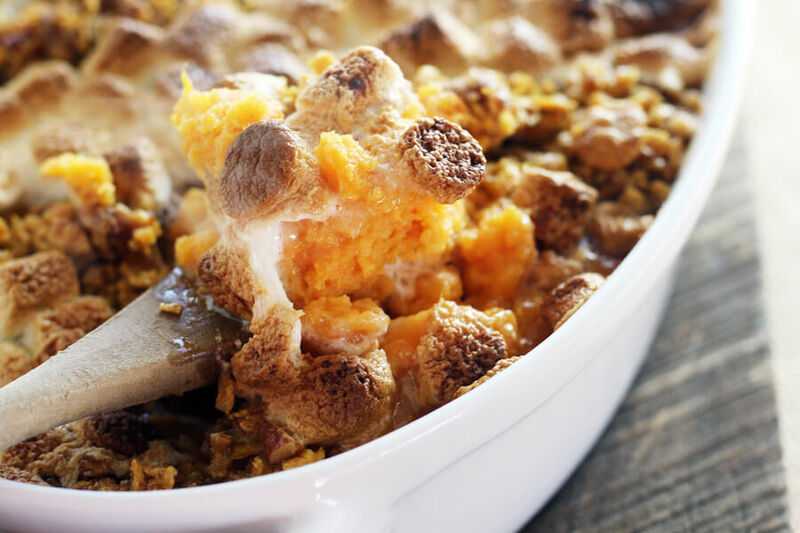 Especially when it comes to tried + true Thanksgiving classics like the Best Sweet Potato Casserole. I have to admit, I did tweak it just a little bit. Not because it isn’t perfect, but because that’s my thing. 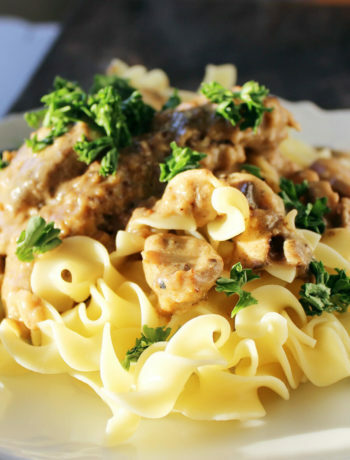 I know you are going to love this recipe just in time for the holidays. We have this at pretty much all the holidays, it is THAT good. You know how Southerners like to claim ownership of everything that has butter and sugar in it? Well, I’m about to do it again. 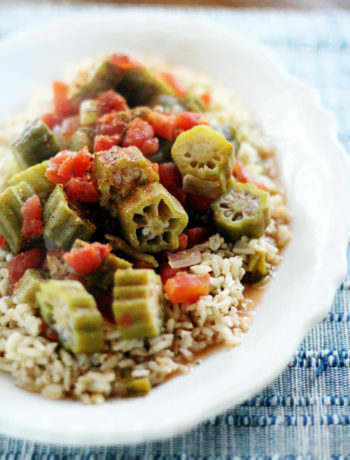 This is truly a quintessential Southern dish. Made from freshly roasted sweet potatoes, this classic holiday side dish has so many different variations. But I will bet $5 that my step-mom’s version is one of the best of all time. 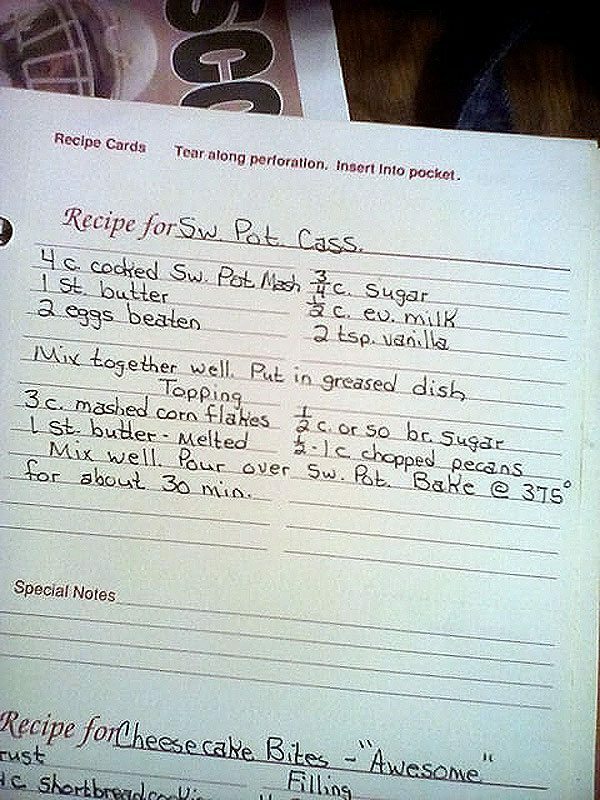 Feel free to make her Best Sweet Potato Casserole Ever according to her original recipe here. It is amazing as is. If you have been following this blog for any amount of time, you have figured out I like to change things up. Put a little twist into things. I changed this recipe VERY LITTLE. 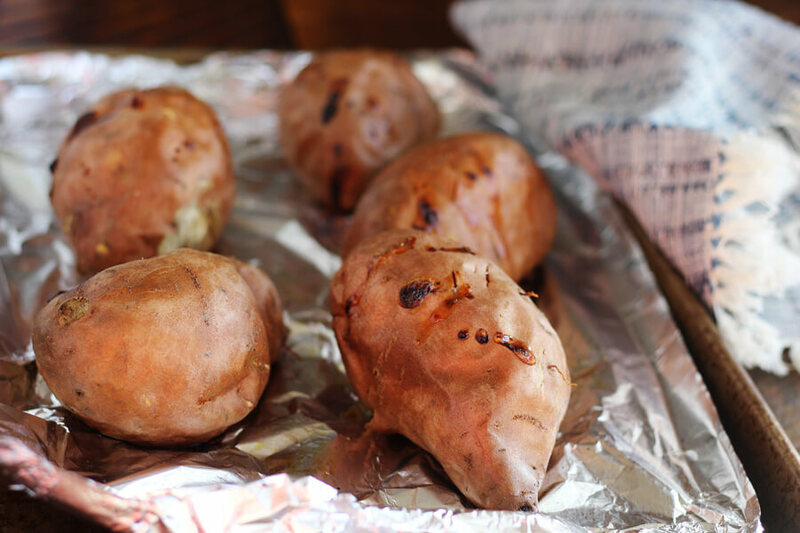 First, instead of boiling the sweet potatoes, I roasted them in the oven. My theory is that it brings out the sweet natural flavor of the sweet potatoes instead of boiling all the flavor away. (Plus I love the way they smell when baking.) Once they cool, peeling them is a breeze. 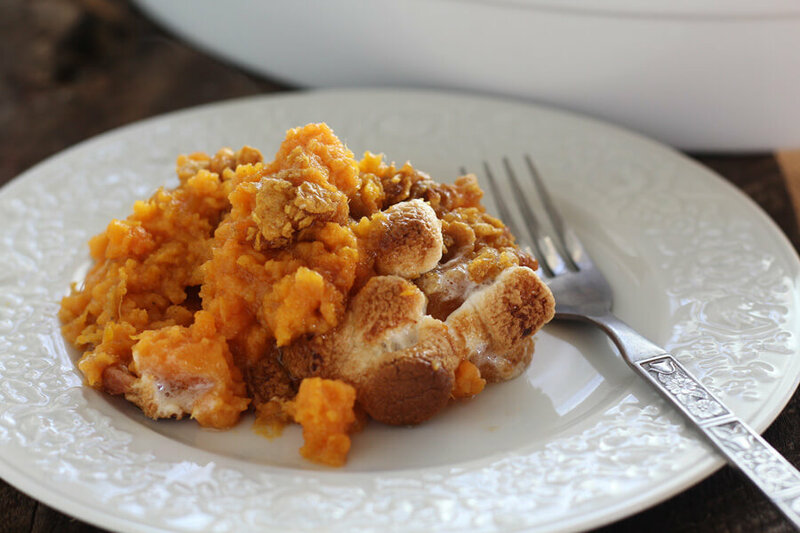 Simply mash the cooked sweet potatoes with eggs and other ingredients. Spread evenly into a prepared baking dish. One of my favorite things about this family recipe is the crunchy-crumbly topping made from crushed corn flakes, brown sugar, pecans and melted butter. Yes, more butter. There is a rule somewhere that Thanksgiving doesn’t happen without butter. My mom’s recipe is completely topped with this yummy topping. And I LOVE IT. I could eat a whole plate of just the topping. But my sweet tooth got the best of me in my version. Break out the mini marshmallows. Our delicious compromise was alternating stripes of brown sugar + pecan topping between sticky sweet toasted marshmallows. Plus, this makes it quite pretty, don’t you think? 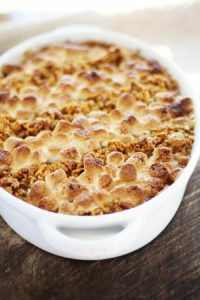 The Best Sweet Potato Casserole is not only a side dish, but is sweet enough to be served as dessert. 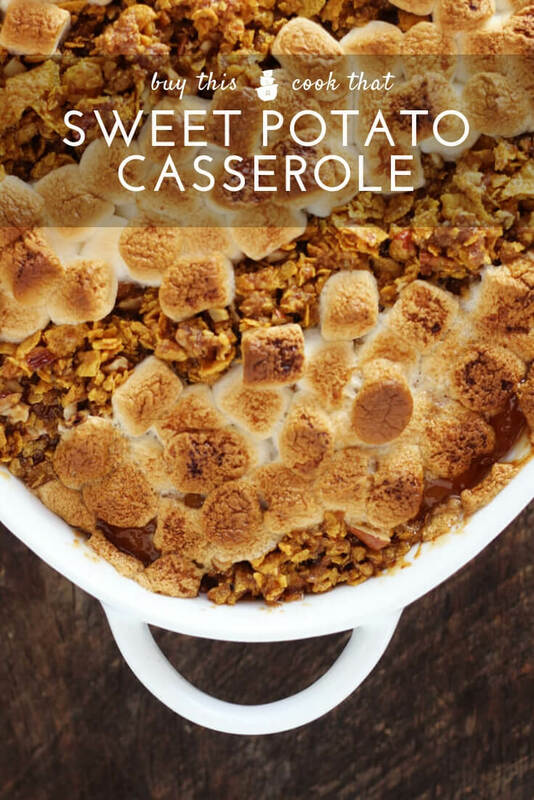 We would love to hear about your favorite sweet potato casserole. I’m pretty sure I’d love them all. 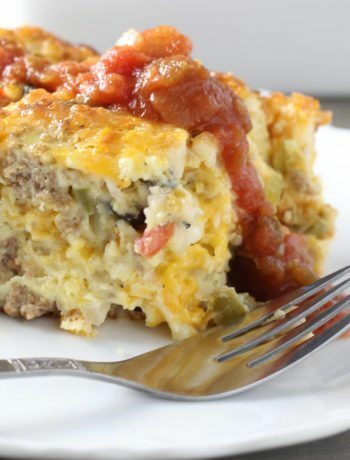 Don't miss out on this sweet, Southern classic dish for your holiday table. Made with roasted sweet potatoes, butter, and more, this is one of my favorite recipes of all time. Preheat oven to 375 degrees. Butter an 8x12 baking dish and set aside. In a large bowl, mash together the cooked sweet potatoes and butter. Stir in the white sugar, milk, vanilla, orange extract, and nutmeg. Spread evenly into the prepared baking dish. In a small bowl, stir together the corn flakes, half of the melted butter, brown sugar and chopped pecans. Carefully spoon the topping in diagonal stripes on top of the casserole, alternating with mini marshmallows. Drizzle the remaining butter over the top of the marshmallows. 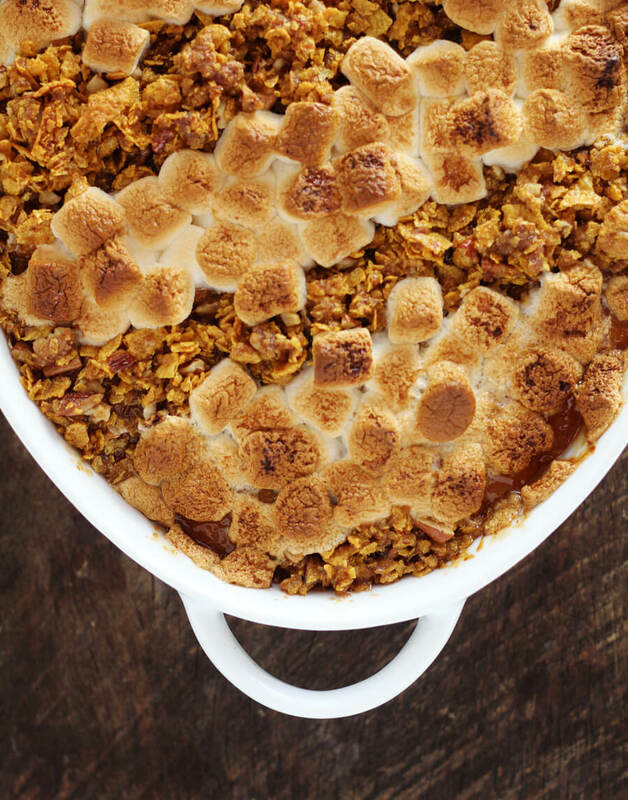 If desired, double the crunchy topping ingredients and leave out the marshmallows.